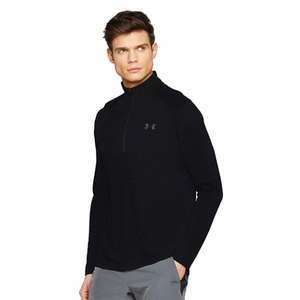 Good price here as part of the Under Armour sale going on at Amazon - plenty of sizes in all colours available at the time of posting. Use the link in case the one from Get Deal Doesn't get you to right place. 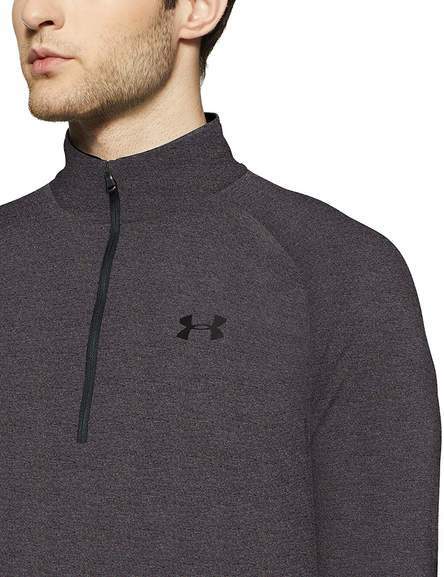 Under Armour Tech 2.0 Half Zip Men's Shirt - stay cool, calm and collected during workouts. 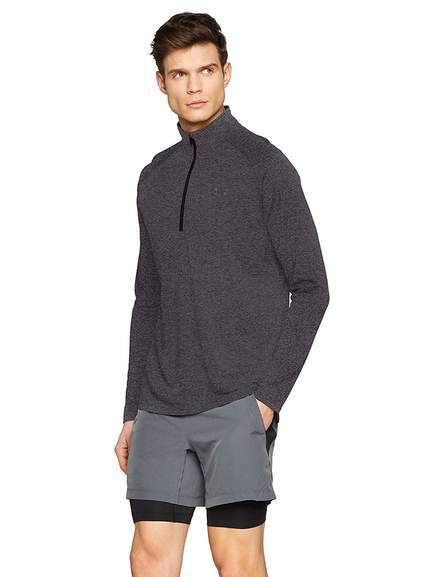 Designed to keep the body regulated during intense running or gym sessions, this half-zip jumper is ideal for athletic men. The shirt is versatile, offering long sleeves and a comfortable fit, as well as a half-zip for regulating body temperature. The top is light and cool. It also prevents excess sweating by keeping sweat away from the body – the material is quick-drying and soft. The shirt is made from 100% polyester. We started with a T-shirt that gave athletes an undeniable advantage and ultimately resulted in a complete renewal of sportswear. Today, innovation is our lifeblood and the key to achieving our brand mission. Link does not work Sorted! Link should have worked - but now also added the lowest offer on each link, hope that helps. Great top, bought another as its great for layering if slightly to cold for just a t shirt and if it gets warmer the zip cools you down fast if you lower it "obviously"
Was tempted until I saw made from polyester! What else do you expect sports/technical gear to be made of? ive came across this comment many times in the last few days and im baffled, im not an expert by any means but would cotton or other natural fibers not just wet, stay wet and smell, these man made things, though not great for the planet etc are specifically designed for sports, keeping you cool, warm, wicking, or the opposite in arctic gear, am i missing something but if polyester and other so called bad materials are so bad would everything not be made out of it? maybe im wrong, i tend to buy things once and if it works for my needs i buy that item or similar again for that thing, eg. gym, running, nightware, casual, smart attire etc, i dont just ban an entire fabric... i dont know.. ignore my rant lol. can you clarify? see my above post, i dont see whats so bad about it? surely just b uy cotton non sport gear then? if poly is better for sports and outdoor then wanting sport looking attire but not actually sport goods made of poly materials then your limiting yourself right? surely just b uy cotton non sport gear then? if poly is better for sports …surely just b uy cotton non sport gear then? if poly is better for sports and outdoor then wanting sport looking attire but not actually sport goods made of poly materials then your limiting yourself right? Poly washes better, doesnt need ironing and is more water resistant, it also doesnt shrink nor does it fade in colour, I think things designed for sport are made more poly some joggers can be just casual so are cotton? depends on what you find comfortable. i prefer cotton on my skin as much more comfortable than polyester. even if it does stay wet when training. i prefer that to the feel of polyester, even if polyester does wick away sweat better. and if wearing casual i also prefer cotton. performance wise i don't think cloths make a difference. its just looks and comfort. people just prefer not to look sweaty so they buy polyester as well as keeping shape and colour better. but for me comfort is first. so cotton or majority cotton blend is absolute must. I suspect same with others who commented. depends on what you find comfortable. i prefer cotton on my skin as much …depends on what you find comfortable. i prefer cotton on my skin as much more comfortable than polyester. even if it does stay wet when training. i prefer that to the feel of polyester, even if polyester does wick away sweat better. and if wearing casual i also prefer cotton. performance wise i don't think cloths make a difference. its just looks and comfort. people just prefer not to look sweaty so they buy polyester as well as keeping shape and colour better.but for me comfort is first. so cotton or majority cotton blend is absolute must. I suspect same with others who commented. thats fair, and preference is always important and if you are more comfy in it then i would 100% stick with it!! thanks for the comment have a great night. Does it 'cling'? I tend to be a medium in most clothing (but large in 'slim fit' clothes)but have put weight on recently and have taken up cycling in an attempt to lose it - but don't want my Teletubby shape outlined by slinky, clinging material! Brilliant....just bought well spotted.could do with some jogging trousers if you spot any .cheers again.